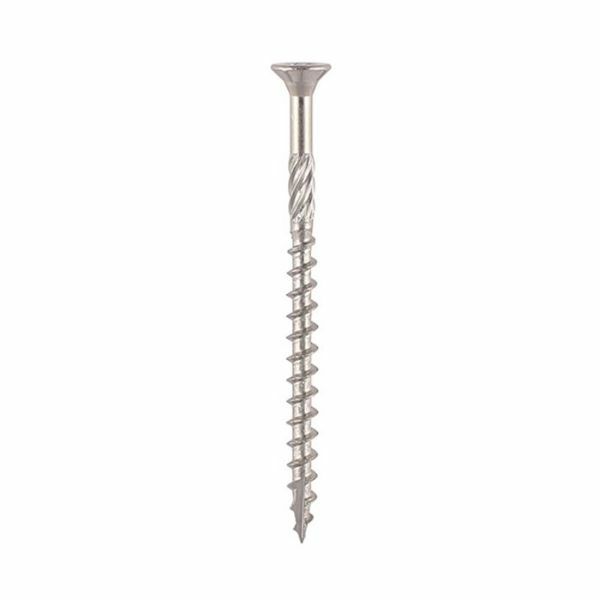 Decking screws, used for attaching decking board to a timber substrate. 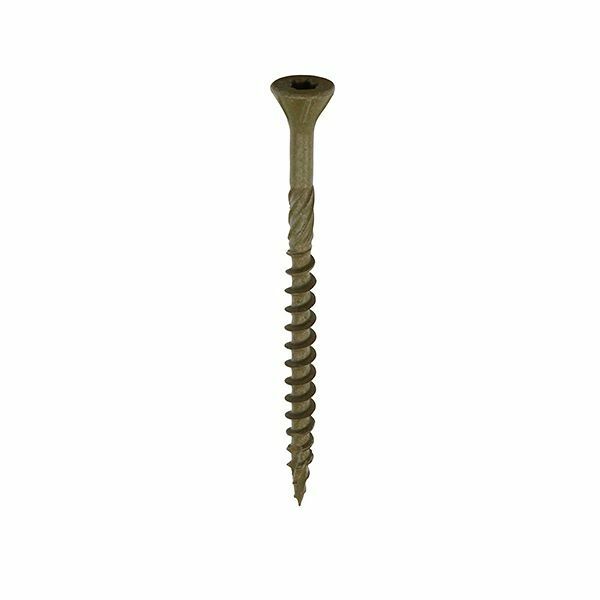 Coated with a patented multi-layer corrosion resistant plating, this screw is ideal for outdoor applications. 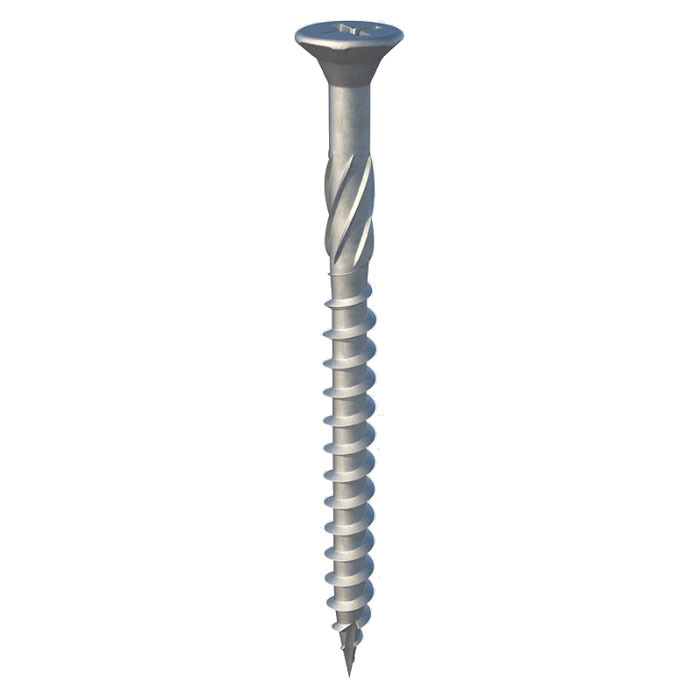 The slash point provides fast 'pick up' and helps to reduce the risk of the timber splitting, while the reverse helical above the threads removes any swarf, reducing insertion torque. 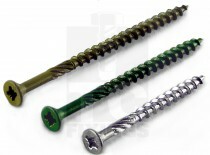 Available in organic green, organic brown or A2 stainless steel. Tub sizes of 250, 500 or 1000.